KLRN, San Antonio’s PBS station, presents the documentary The National Parks of Texas: In Contact With Beauty to the national PBS system in recognition of the upcoming 100th anniversary of the National Park Service. This 60-minute documentary highlights the natural, cultural, historic and recreational significance of the 16 national parks in Texas. The National Parks of Texas: In Contact With Beauty will air at 7 pm April 26, 2016 on Texas PBS stations. The national parks in Texas offer a rich and diverse collection of treasured places that welcomed more than 5 million visitors in 2014, generating nearly $340 million in local economic activity and supporting 3,700 private-sector jobs. WHEN: Tuesday, April 26, 2016, 7 p.m.
“In celebration of the National Park Service Centennial, we are honored to bring this film to life, showing the public the many treasures our great state of Texas has to offer. From Big Bend, our first national park to our newest site at Waco Mammoth, our state offers diverse national park sites that capture history, honor culture, protect the planet, provide peace and solitude, engage children and restore the soul,” said Courtney Lyons-Garcia, Executive Director of Big Bend Conservancy. Together with our more than one million members and supporters, National Parks Conservation Association speaks for America’s favorite places. Since our founding in 1919, NPCA has been an independent, nonpartisan voice working to strengthen and protect our nation’s natural, historic and cultural heritage. We are the storytellers, the mobilizers, the protectors and the advocates. We leverage our nationwide network of offices, committed volunteers, staff lobbyists, community organizers and communications specialists to make change, whether in our local communities or in our nation’s capital. Your voice is needed to help protect, connect and restore these incredible places for present and future generations. Join the movement at npca.org/join. Big Bend Conservancy is the nonprofit fundraising partner of Big Bend National Park and the Rio Grande Wild and Scenic River. Our mission is to support, promote and protect these park units in partnership with the National Park Service. 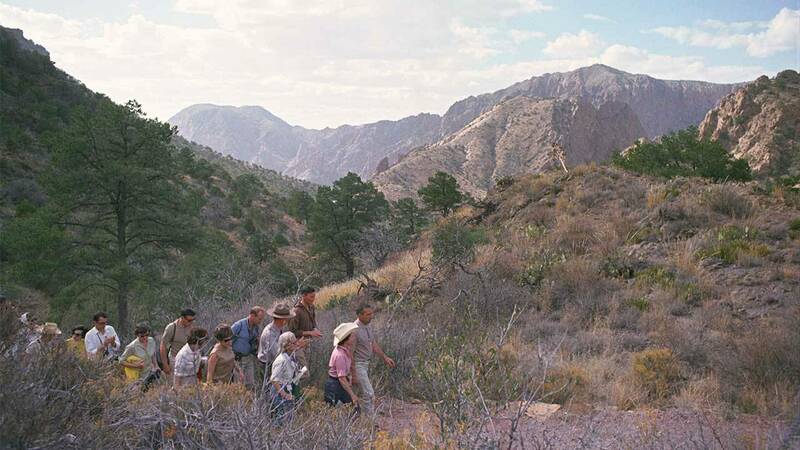 For more information join us at www.bigbendconservancy.org. The mission of Texas PBS is to build a vibrant public broadcasting platform throughout Texas by cultivating financial resources for local affiliates, spearheading collaborations among stations, illuminating public issues through relevant program content and advocating for policies that support robust public media. For more information about Texas PBS, go to www.texaspbs.org.